A SWEXIT reunion peal. 1st Lincolnshire Royal - 3. Last updated Monday, 5 November 2018 at 21:42:41. First submitted Monday, 5 November 2018 at 21:39:12 by David Hird. 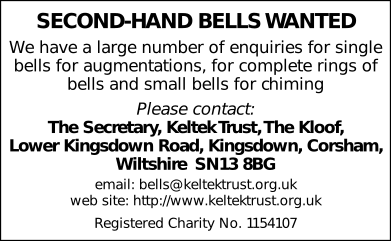 Sent for publication in The Ringing World on Monday, 5 November 2018 at 21:40:18, and printed in issue 5615, page 1229. This performance has been viewed 601 times.